John Lynch Phillips (born April 15, 1951) is a NASA astronaut. Phillips is also a Naval Aviator and retired captain, United States Navy Reserve. Phillips has received numerous awards and special honors. He is a National Merit Scholar, graduated 2nd in his class of 906 people at the U.S. Naval Academy in 1972. Phillips has also been awarded the NASA Space Flight Medal, NASA Distinguished Service Medal, the Gagarin Medal and several others. Phillips has logged over 4,400 flight hours and 250 aircraft carrier landings, flying the A-7 Corsair II carrier-based light attack aircraft while on active duty in the Regular Navy and subsequently during his time as a Navy Reservist from 1982 to 2002. At the time of his retirement, Phillips had retained the rank of captain. 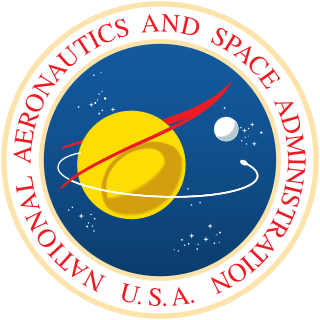 The National Aeronautics and Space Administration is an independent agency of the United States Federal Government responsible for the civilian space program, as well as aeronautics and aerospace research. An astronaut or cosmonaut is a person trained by a human spaceflight program to command, pilot, or serve as a crew member of a spacecraft. Although generally reserved for professional space travelers, the terms are sometimes applied to anyone who travels into space, including scientists, politicians, journalists, and tourists. Captain is the name most often given in English-speaking navies to the rank corresponding to command of the largest ships. The rank is equal to the army rank of colonel. Born April 15, 1951 in Fort Belvoir, Virginia, but considers Scottsdale, Arizona to be his hometown. He is married to the former Laura Jean Doell of Scotia, New York. They have two children. 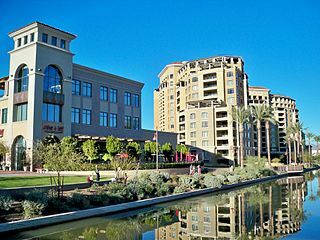 Scottsdale is a city in the eastern part of Maricopa County, Arizona, United States, part of the Greater Phoenix Area. Named Scottsdale in 1894 after its founder Winfield Scott, a retired U.S. Army chaplain, the city was incorporated in 1951 with a population of 2,000. The 2015 population of the city was estimated to be 236,839 according to the U.S. Census Bureau. The New York Times described downtown Scottsdale as "a desert version of Miami's South Beach" and as having "plenty of late night partying and a buzzing hotel scene." Its slogan is "The West's Most Western Town." Scotia is a village in Schenectady County, New York, United States, incorporated in 1904. The population was 7,729 at the 2010 census. Scotia is part of the town of Glenville, and is connected with the city of Schenectady by the Western Gateway Bridge over the Mohawk River. Graduated from Scottsdale High School, Scottsdale, Arizona, in 1966; received a bachelor of science degree in mathematics and Russian from the U.S. Naval Academy in 1972; a master of science degree in aeronautical systems from the University of West Florida in 1974; a master of science degree and a doctorate in geophysics and space physics from the University of California, Los Angeles (UCLA) in 1984 and 1987 respectively. Scottsdale High School was a high school in Scottsdale, Arizona. It opened in 1922 and closed in May 1983. The mascot was the Beavers, and the colors were orange and black. The school site was demolished, and businesses were put up on the land. The school was located at (33.4966127,-111.9229650), or approximately Drinkwater Blvd. and Scottsdale Road in Downtown Scottsdale. The University of West Florida, also known as West Florida and UWF, is a mid-sized public university located in Pensacola, Florida, United States. Established in 1963 as a member institution of the State University System of Florida, the University of West Florida is a comprehensive research university without faculties of law or medicine, a designated space-grant institution, and sits on the third largest campus in the State University System, at 1,600 acres (6.5 km2). The main campus is a natural preserve that is bordered by two rivers and Escambia Bay. The university's mascot is an Argonaut and its logo is the Chambered Nautilus. 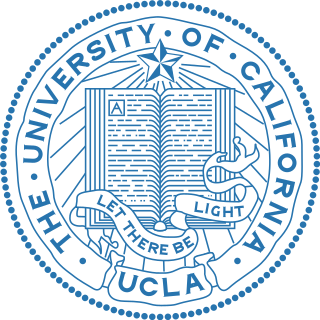 The University of California, Los Angeles (UCLA) is a public research university in Los Angeles. 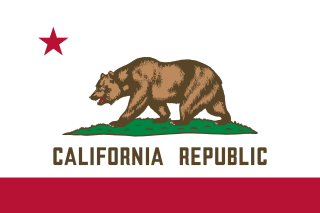 It became the Southern Branch of the University of California in 1919, making it the third-oldest undergraduate campus of the 10-campus University of California system. It offers 337 undergraduate and graduate degree programs in a wide range of disciplines. UCLA enrolls about 31,000 undergraduate and 13,000 graduate students and had 119,000 applicants for Fall 2016, including transfer applicants, making the school the most applied-to of any American university. A National Merit Scholar; he graduated second of 906 in the class of 1972 at U.S. Naval Academy; received 2 NASA Group Achievement Awards for contributions to the Ulysses Spacecraft Mission and the Los Alamos National Laboratory Distinguished Performance Award in 1996. Awarded the NASA Space Flight Medal and various military awards. Los Alamos National Laboratory is a United States Department of Energy national laboratory initially organized during World War II for the design of nuclear weapons as part of the Manhattan Project. It is located a short distance northwest of Santa Fe, New Mexico in the southwestern United States. Phillips received a commission as an ensign in the U.S. Navy upon graduation from the U.S. Naval Academy in 1972 and was designated a Naval Aviator in November 1974, concurrent with his completion of an MS degree in aeronautical systems from the University of West Florida. He trained in the A-7 Corsair aircraft at Naval Air Station Lemoore, California and made overseas deployment with Attack Squadron 155 (VA-155) aboard the aircraft carriers USS Oriskany and USS Franklin D. Roosevelt. Subsequent tours of duty included Navy Recruiting Command duty in Albany, New York, and flying the CT-39 Sabreliner aircraft at Naval Air Station North Island, California. Naval Air Station Lemoore or NAS Lemoore is a United States Navy base, located in Kings County and Fresno County, California. Lemoore Station, California, a census-designated place, is located inside the base's borders. After leaving the Regular Navy and transferring to the Naval Reserve in 1982, Phillips enrolled as a graduate student at UCLA. While at UCLA he carried out research involving observations by the NASA Pioneer Venus Spacecraft. Upon completing his doctorate in 1987, he was awarded a J. Robert Oppenheimer Postdoctoral Fellowship at Los Alamos National Laboratory in New Mexico. He accepted a career position at Los Alamos in 1989. While there, Phillips performed research on the sun and the space environment. From 1993 through 1996 he was Principal Investigator for the Solar Wind Plasma Experiment aboard the Ulysses Spacecraft as it executed a unique trajectory over the poles of the sun. He has authored 156 scientific papers dealing with the plasma environments of the sun, earth, other planets, comets and spacecraft. New Mexico is a state in the Southwestern region of the United States of America; its capital and cultural center is Santa Fe, which was founded in 1610 as capital of Nuevo México, while its largest city is Albuquerque with its accompanying metropolitan area. It is one of the Mountain States and shares the Four Corners region with Utah, Colorado, and Arizona; its other neighboring states are Oklahoma to the northeast, Texas to the east-southeast, and the Mexican states of Chihuahua to the south and Sonora to the southwest. 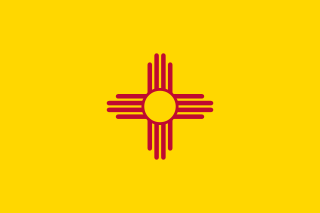 With a population around two million, New Mexico is the 36th state by population. With a total area of 121,592 sq mi (314,920 km2), it is the fifth-largest and sixth-least densely populated of the 50 states. Due to their geographic locations, northern and eastern New Mexico exhibit a colder, alpine climate, while western and southern New Mexico exhibit a warmer, arid climate. Plasma is one of the four fundamental states of matter, and was first described by chemist Irving Langmuir in the 1920s. 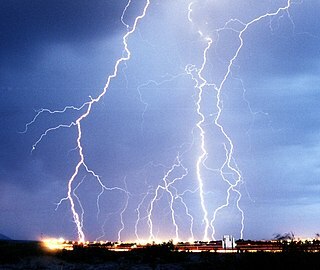 Plasma can be artificially generated by heating or subjecting a neutral gas to a strong electromagnetic field to the point where an ionized gaseous substance becomes increasingly electrically conductive, and long-range electromagnetic fields dominate the behaviour of the matter. Phillips has logged over 4,400 flight hours and 250 carrier landings. He was a Navy Reservist from 1982 to 2002, serving as an A-7 pilot, and in various non-flying assignments. He holds the rank of captain, USN (retired). Selected by NASA in April 1996, Phillips reported to the Johnson Space Center in August 1996. After completing astronaut candidate training, he held various jobs in the Astronaut Office, including systems engineering and CAPCOM for the International Space Station (ISS). He served as a backup crew-member for ISS Expedition 7. Attired in a Russian Orlan spacesuit, Phillips participates in a spacewalk. STS-100 (Space Shuttle Endeavour, April 19 to May 1, 2001). STS-100 was a 12-day mission to the ISS. During the mission, the crew successfully delivered and installed the Canadarm2 Robotic Arm. They also delivered experiments and supplies aboard the Multi-Purpose Logistics Module Raffaello on its maiden flight. Phillips was the Ascent/Entry Flight engineer and was the intravehicular activity coordinator during two space walks. Expedition 11 (April 15 to October 11, 2005). Expedition 11 was a six-month mission to the ISS. On April 15, 2005, Phillips, along with his fellow crew-members Sergei Krikalev, and Roberto Vittori launched to the ISS aboard Soyuz TMA-6. On June 14, 2005, Phillips became the first person ever to testify before congress from the ISS, or outer space in general. He gave testimony to the United States House of Representatives Science Space Subcommittee via a live video feed. The hearing was to evaluate the space station's usefulness as an orbiting laboratory. On August 18, 2005, Phillips and Krikalev completed a five-hour spacewalk to retrieve several experiments and install a video camera for the new docking procedure. Phillips and Krikalev, along with Space Flight Participant Gregory Olsen, returned to Earth aboard Soyuz TMA-6 on October 11, 2005. STS-119 (Space Shuttle Discovery, March 15 to March 28, 2009). Phillips was detailed to the U.S. Naval Postgraduate School in Monterey, CA, from 2009 to 2011 as the Smith/McCool NASA Chair Professor. Kenneth Dwane "Sox" Bowersox is a United States Navy officer, and a former NASA astronaut. He is a veteran of five Space Shuttle launches and an extended stay aboard the International Space Station. When he launched on STS-73 at the age of 38 years and 11 months, he became the youngest person ever to command a Space Shuttle vehicle. Michael López-Alegría is a Spanish-American astronaut; a veteran of three Space Shuttle missions and one International Space Station mission. 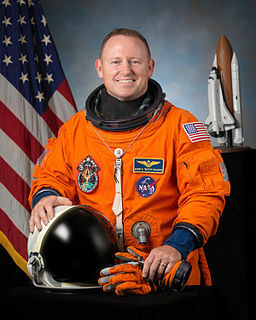 He is known for having performed ten spacewalks so far in his career, presently holding the second longest all-time EVA duration record and having the third longest spaceflight of any American at the length of 215 days; this time was spent on board the ISS from September 18, 2006 to April 21, 2007. William Surles McArthur Jr. is a retired United States Army colonel and NASA astronaut and a veteran of three Space Shuttle missions and one expedition to the International Space Station via the Russian Soyuz capsule. Koichi Wakata is a Japanese engineer and a JAXA astronaut. Wakata is a veteran of four NASA Space Shuttle missions, a Russian Soyuz mission, and a long-duration stay on the International Space Station. During a nearly two-decade career in spaceflight, he has logged more than eleven months in space. During Expedition 39, he became the first Japanese commander of the International Space Station. Wakata flew on the Soyuz TMA-11M/Expedition 38/Expedition 39 long duration spaceflight from 7 November 2013 to 13 May 2014. During this spaceflight he was accompanied by Kirobo, the first humanoid robot astronaut. Frederick Hamilton "Rick" Hauck is a retired Captain in the United States Navy, a former fighter pilot and NASA astronaut. He piloted Space Shuttle mission STS-7 and commanded STS-51-A and STS-26. William McMichael "Bill" Shepherd is an American former Navy SEAL, aerospace, ocean, and mechanical engineer, and NASA astronaut who served as Commander of Expedition 1, the first crew on the International Space Station. He is also a recipient of the Congressional Space Medal of Honor. Michael Allen Baker is a retired captain in the United States Navy, former NASA astronaut, and the International Space Station Program Manager for International and Crew Operations, at NASA's Johnson Space Center. He is responsible for the coordination of program operations, integration and flight crew training and support activities with the International Partners. Daniel Wheeler Bursch is a former NASA astronaut, and Captain of the United States Navy. He had four spaceflights, the first three of which were Space Shuttle missions lasting 10 to 11 days each. His fourth and final spaceflight was a long-duration stay aboard the International Space Station as a crew member of Expedition 4, which lasted from December 2001 to June 2002. This 196-day mission set a new record for the longest duration spaceflight for an American astronaut, a record simultaneously set with his crew mate Carl Walz. Their record has since been broken, and as of 2016 it is held by Scott Kelly, who flew a 340 day mission during Expeditions 43, 44 and 45. Frank Lee Culbertson Jr. is an American former naval officer and aviator, test pilot, aerospace engineer, and NASA astronaut. He served as the Commander of the International Space Station for almost four months in 2001 and was the only American not on Earth when the September 11 attacks occurred. He recently retired as President of the Space Systems Group at Northrop Grumman Innovation Systems. Mr. Culbertson was responsible for the execution, business development and financial performance of the company’s human spaceflight, science, commercial communications, and national security satellite activities, as well as technical services to various government customers. These include some of Northrop Grumman's largest and most important programs such as NASA’s Commercial Resupply Services (CRS) initiatives to the International Space Station (ISS) as well as various national security-related programs. Scott Joseph Kelly is an engineer, a retired American astronaut, and a retired U.S. Navy captain. A veteran of four space flights, Kelly commanded the International Space Station (ISS) on Expeditions 26, 45, and 46. Edward Michael "Mike"/"Spanky" Fincke is an American astronaut who formerly held the American record for the most time in space. His record was broken by Scott Kelly on October 16, 2015. He was born in Pittsburgh, Pennsylvania, but considers its suburb Emsworth to be his hometown. He is a United States Air Force officer and a NASA astronaut, and served two tours aboard the International Space Station as a flight engineer and commander. He flew on one Space Shuttle mission, STS-134 as a Mission Specialist. Fincke is conversant in Japanese and Russian. He is married to Renita Saikia, and together they have three children; son Chandra and daughters Tarali and Surya. Expedition 11 (2005) was the 11th expedition to the International Space Station, using the Soyuz TMA-6, which stayed during the expedition for emergency evacuation. Soyuz TMA-7 was a transport mission for portions of the International Space Station (ISS) Expedition 12 crew launched October 1, 2005. The flight delivered ISS Commander William McArthur and ISS Flight Engineer Valery Tokarev to the station to replace Expedition 11 crew members. Spaceflight Participant Gregory Olsen joined the TMA-7 crew for the ascent and docking with the ISS, spent approximately eight days aboard conducting experiments, then returned to Earth with the outgoing members of Expedition 11 aboard Soyuz TMA-6. McArthur and Tokarev were joined on their return trip to Earth by Flight Engineer Marcos Pontes who launched aboard Soyuz TMA-8 and spent approximately seven days aboard the ISS conducting experiments for the Brazilian Space Agency. Douglas Harry "Wheels" Wheelock is an American engineer and astronaut. He has flown in space twice, logging 178 days on the Space Shuttle, International Space Station, and Russian Soyuz. On July 12, 2011, Wheelock announced that he would be returning to active duty with the United States Army in support of Operation Enduring Freedom. Alan Goodwin "Dex" Poindexter was an American naval officer and a NASA astronaut. Poindexter was selected in the 1998 NASA Group (G17) and went into orbit aboard Space Shuttle missions STS-122, and STS-131. Paolo Angelo Nespoli is an Italian astronaut and engineer of the European Space Agency (ESA). In 2007, he first traveled into space aboard the Space Shuttle Discovery as a mission specialist of STS-120. In December 2010 he again traveled into space aboard the Soyuz TMA-20 spacecraft as an Expedition 26/27 flight engineer. Nespoli's third spaceflight was onboard Soyuz MS-05 which launched in July 2017 for Expedition 52/53. He is also the European Space Agency's oldest active astronaut. Dominic Anthony "Tony" Antonelli is a retired NASA astronaut. Antonelli was born in Detroit, Michigan, but was raised in both Indiana and North Carolina. He is married and has two children. Barry Eugene "Butch" Wilmore is a NASA astronaut and United States Navy test pilot. He has had two spaceflights, the first of which was an 11-day Space Shuttle mission in November 2009, to the International Space Station. Wilmore was designated as pilot with five other crew members on Space Shuttle Atlantis for the mission STS-129. He most recently served as part of Expedition 41 to the International Space Station. NASA Astronaut Group 12 was a group of 15 astronauts announced by NASA on June 5, 1987. Kenneth Stanley Reightler Jr. is a former NASA astronaut. This article incorporates public domain material from websites or documents ofthe National Aeronautics and Space Administration .